Evans Communications was founded in 2003 by Tom Evans, Principal, a veteran in public relations, marketing, advertising and public affairs in Arizona. Tom is a seasoned professional with more than 20 years of experience in communications. He has worked with hundreds of clients over this time, ranging from small businesses to non-profits to Fortune 500 companies. Before starting his own business, Tom Evans worked with two prominent Valley public relations, public affairs and advertising firms, handling a wide variety of high-profile accounts. His diverse skill set ensures he can provide everything from copywriting to graphic design to web site development to video production services, as well as overseeing the creation of high-end creative products and communications tools — and his experience in branding and managing campaigns ensures that the right message is delivered to the appropriate audiences. Andrea Tyler Evans, Event Planning & Business Development Consultant, is the Publisher for our sister company FrontdoorsMedia.com. The publication is dedicated to celebrating the people and groups who give generously and work to build the future of our community. She launched her event consulting business in September 2003 following a successful career as a full-time event planner for two of the Valley’s largest non-profit agencies. Andrea is a graduate of Valley Leadership, and volunteers with a number of non-profit and community groups. She was named as an up-and-coming Valley businesswomen in February 2004 in The Business Journal’s annual “40 Under 40” publication and was one of the publication's 2018 Outstanding Women in Business. She is married to Tom Evans and the proud mother of two children. Erin Garcia, Creative Director, brings an extensive background of working with some of Arizona's best-known brands to the Evans Communications team. She is a gifted designer with a broad background in the full spectrum of creative services. She previously served as Senior Graphic Designer for Arizona Public Service, helping shape the organization's brand presence in the Arizona marketplace. Erin also worked as Senior Graphic Designer for the Phoenix Suns and Phoenix Mercury, where she integrated the teams' branding into partnerships with some of the most renowned products and companies in the world. She has also worked on a freelance basis with a number of different community and charitable organizations. Whitney Thistle, Director of Client Services, supports all aspects of client relationships for the Evans Communications team and plays a primary role in project management for marketing, creative and event planning clients. She works well in fast-paced environments and provides diverse client support skills in marketing, event production and resource development. Most recently, she spent five years working in strategic fundraising, events and donor retention, donor recognition and engagement for Valley of the Sun United Way. Prior to that, she taught special education as well as working with nonprofit organizations in the Tucson marketplace. Born and raised in Glendale, Arizona, Whitney is a 2006 graduate of the University of Arizona with a degree in Psychology and Family Studies/Human Development. 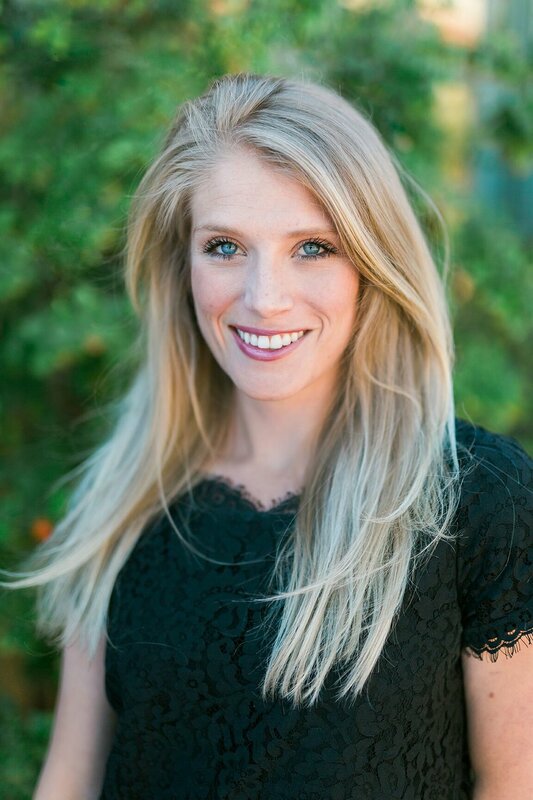 Catie Richman, Director of Events and Marketing, caters to the individual needs of each client putting together events ranging from galas and conferences to networking mixers, and everything in between. In her role, she goes beyond just event logistics and works closely with the rest of Evans Communications team on marketing and public relations campaigns. The Arizona native previously worked as a publicist in Los Angeles and as a PR consultant for luxury marketing firm in Paris, France. Catie graduated from the University of Southern California in 2013 with a B.A in Communications with an from the Annenberg School of Communication and Journalism and also earned a B.A. in French Language. Ashley Ford, Marketing and Community Relations Manager, has a passion for creating relationships and building brand awareness. She previously spent four years working for Kendra Scott as a Community Relations and Events Manager, where she connected with many of the Valley’s influential leaders and non-profits. She is active in the community and serves on the board of Valley of the Sun Active 2030 Club and most recently co-chaired Assistance in Healthcare’s Project Pink Luncheon. Ashley grew up in Texas and graduated from Texas State University in 2014 with a B.A. in Mass Communications. Jillian Rivera, Marketing Coordinator, is an experienced administrative assistant with a demonstrated history of working in multiple industries and with a diverse client base. She is skilled in client service, project management, marketing, social media and photography. She is responsible for coordinating PR and marketing activities for the firm as well as its sister company, Frontdoors Media.